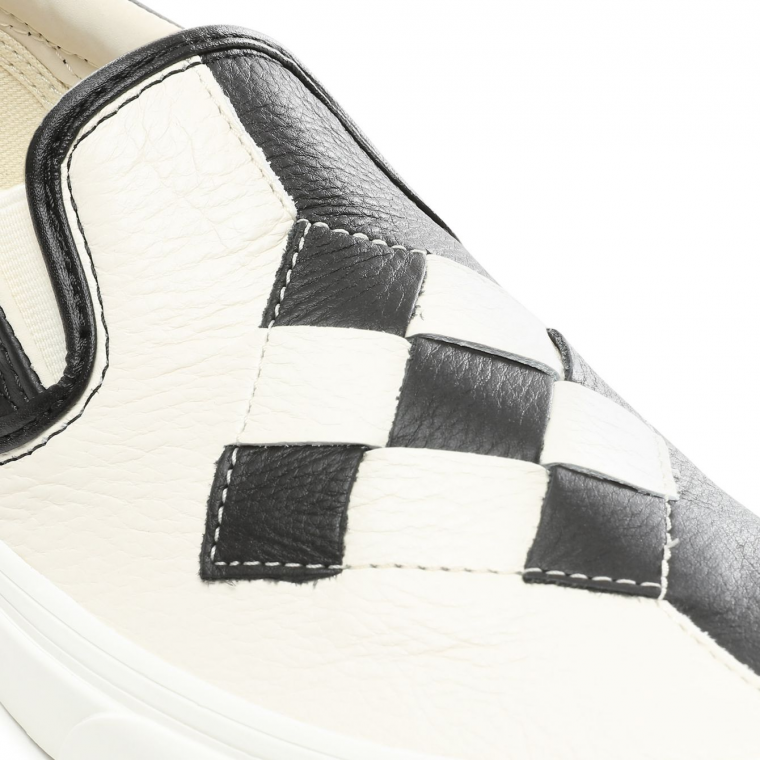 The Vans Slip On – one of the skate brand’s most recognisable shoes – has been revamped with the addition of a woven leather upper in two new colourways. 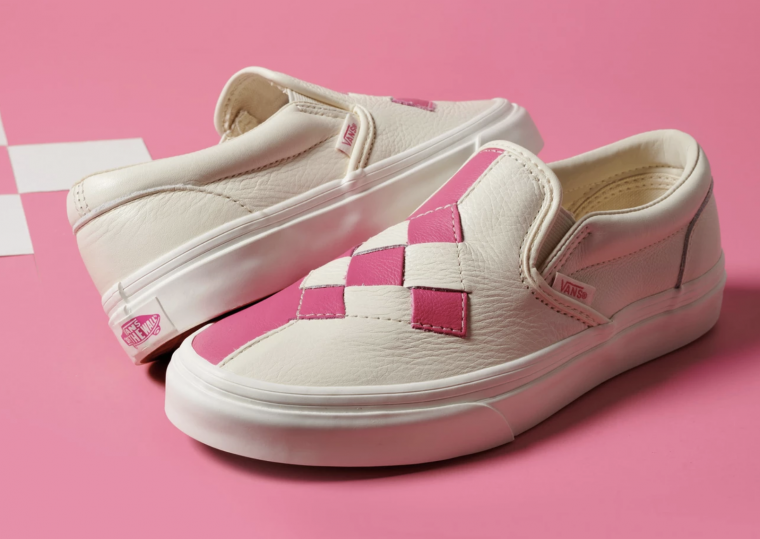 The skate brand has been on a roll recently, with the revamping some of its other classic styles, such as the fierce animal print Sk8-Hi Re-Isue and the multicolour patchwork of the Vans Era. The latest silhouettes come in a Pink/Cream and Black/Off White colourway, so you’ve got a choice of whether you’d prefer to be loud and bold, or a little more understated. 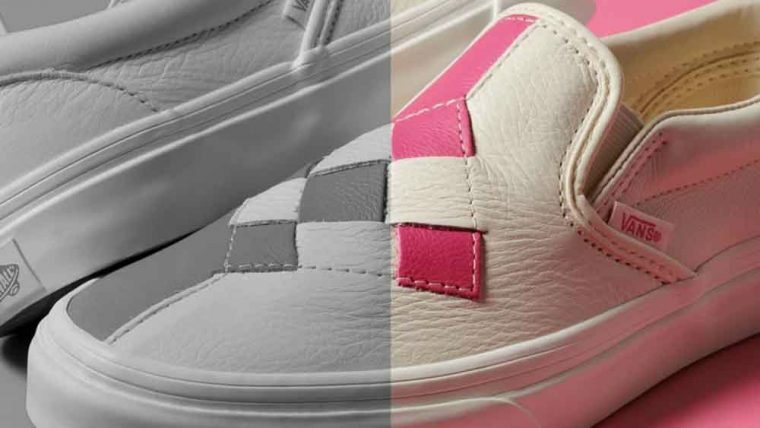 Both are crafted with a woven leather diamond on the upper, with one side of the shoe painted in Pink/Black, and the other in Cream/White, respectively. 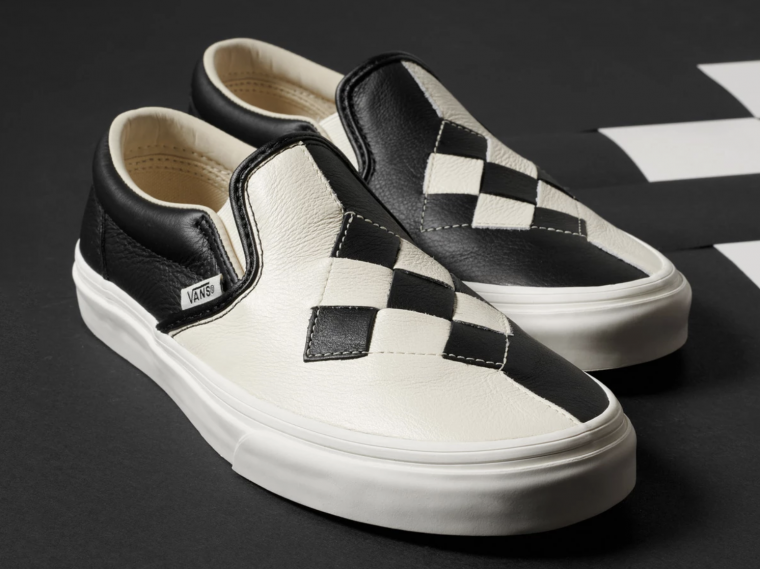 The mainstays of a Vans slip on are still here too – a padded collar, a branded Vans label on the sidewall and the heel sticker at the back of the midsole. We also have the heritage Vans waffle sole, textured toe bumper, and elasticated side accents, so you’ll feel comfy and secure wearing these all day. Will you go bold with pink or keep it more subtle with monochrome? We think these would style well with skinny jeans and a crop t shirt – keep it casual. We’re still waiting on a wide release for these ones – and we can’t wait! What do you think about this modern rendition of a classic skate shoe? Is it a cop? Keep it locked to The Sole Womens for info on when the Pink/Cream colourway drops so you can get your own!